Sengoku Basara Wallpaper: What are you looking at? 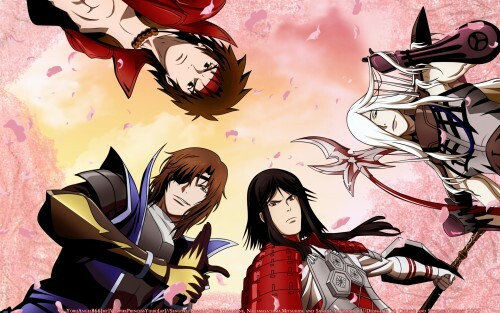 Minitokyo »	Sengoku Basara Wallpapers » Sengoku Basara Wallpaper: What are you looking at? dedicated to chrisp and stormfangs cause i love the very very much ??? -Nobunaga and oyakata sama arent in this wall cause they arent bishie enough to stare at, who wants two old men on background? Awesome work, Yoru, the vectoring is top notch as usual and you made the guys look even hotter than in the scan! :D Gotta love the clarity and the improved background (because the original one seems kinda boring compared to the one you made). Keep up the great work~ +fav! Although I would prefer a more dramatic background instead of this owh-so-peaceful sakuras. Anyway I love this wallie keep up d good work yah! The vectoring is well done and I love the simple background. It goes perfectly with the perspective. pretty, I like the white haired guy. The vector and colors are superb, because they always are. The perspective fits really well with a computer screen, like they are looking at you. I love staring at bishies who are looking back. I loved this anime, and this is a lovely wall with a number of my favorite characters in it!